I wanted to transcribe a piece for guitar, cello, violin and strings in order to rearrange it. It came to my mind that I could try Melodyne Editor to help me out since I do not have perfect pitch. I imported the audio track to Logic Pro and had Melodyne analyze it in "polyphonic sustain" mode. The first thing I noticed, when tried playing along the track, was that it was out of tune with my digital piano. The solution was very simple: I selected all the notes and moved them in micro intervals to be in tune with my MIDI controller. 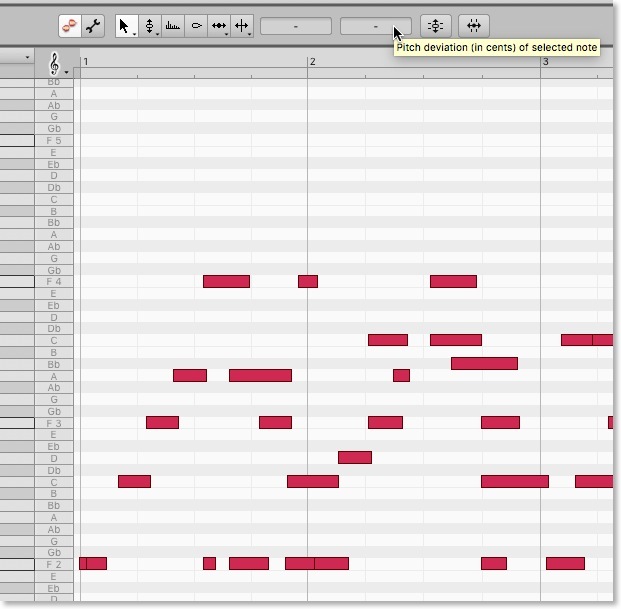 Once I had my keyboard and the track in tune I started transcribing. First I saved the audio track as MIDI. Looking at the MIDI track and listening to the track, I came up with a good transcription and consequently with a good arrangement. Melodyne helps a lot but the transcriber needs to be able to analyze its outcome to see when there are falsely recognized notes, for instance. So you still need to know what you are doing and comprehend the informations you get from it, nonetheless this piece of software is very close to magic.